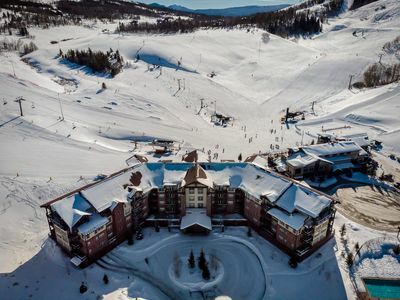 Enjoy the spectacular views from our fourth floor condo overlooking Ski Granby Ranch. 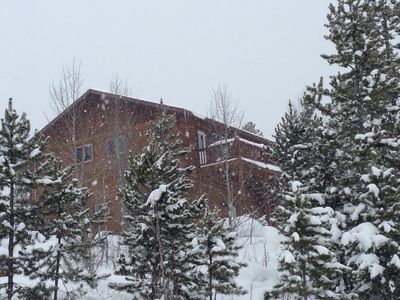 You're only steps away from the chairlifts, swimming pool, hot tub and restaurants at our family friendly ski resort. 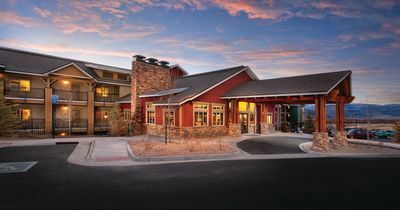 It is the perfect place for a family getaway, whether you're coming from the front range, or across the country. No matter what season you visit, you'll have endless activities to choose from. 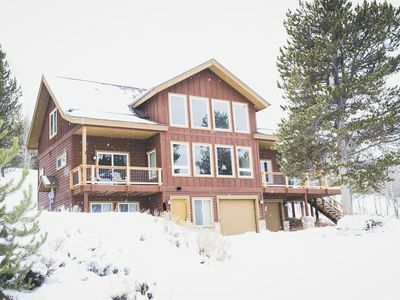 Ski-in/ski-out access to Granby Ranch including: night skiing, snow shoeing, cross country skiing, fishing and a cozy fire pit for toasting marshmallows are all available. 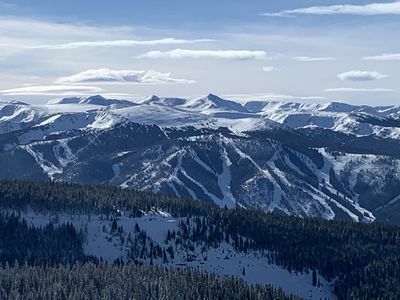 Wonderful day trips include, Rocky Mountain National Park, Grand Lake, and Winter Park Ski Resort, all approximately 20 minutes away. 2 bedrooms and 2 bathrooms. 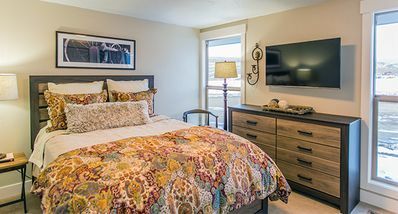 Queen beds in both rooms and a queen sleeper sofa with memory foam mattress. 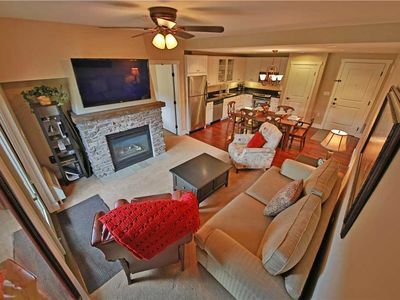 Some of the features include: TV/DVD player and Netflicks in living room. Basic cable in master bedroom. 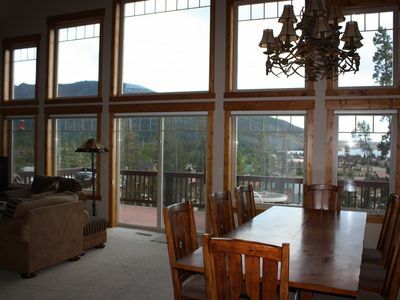 Washer/dryer, full kitchen, gas fireplace, slope side mountain view and in-room wifi. 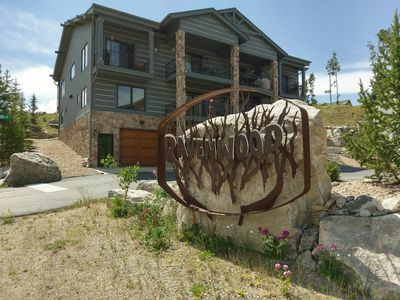 Base Camp One features include: ski locker, outdoor heated salt water pool and hot tub (open seasonally throughout the year), parking in shared indoor heated garage for one vehicle. 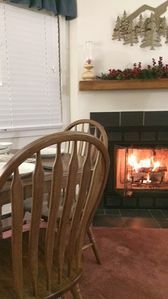 Also located at Base Camp One you'll find our grand first floor Hearth Room equipped with games, books, a fireplace, free WiFi, and TV. In the Summer you can take the chairlift through the gorgeous Aspen forests to miles of world-class mountain bike and hiking trails. Granby Ranch offers beautiful vistas for Colorado mountain weddings. 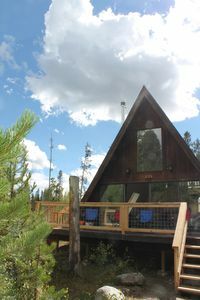 From our deck watch the wedding parties going to and from the ceremony at the top of one of the peaks. Granby Ranch has a great 18-hole golf course and there are 2 other 18-hole courses within 10 miles. 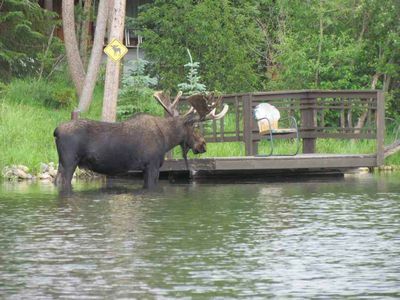 The Fraser river offers excellent fly fishing with guided fishing available. 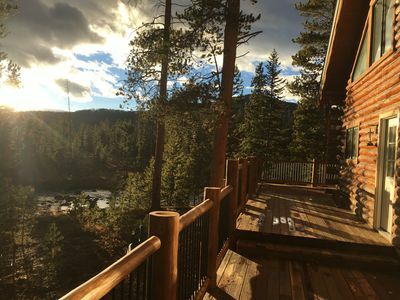 Twenty minutes away is Grand Lake, Winter Park and the west entrance to Rocky Mountain National Park. 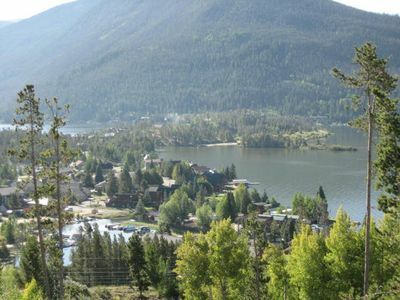 Grand Lake offers boating, fishing, swimming and is a great example of an unspoiled Colorado mountain town. Rocky Mountain National Park offers some of the most spectacular views in the country where you can hike the Continental Divide. Rustic modern A frame with mountain views. 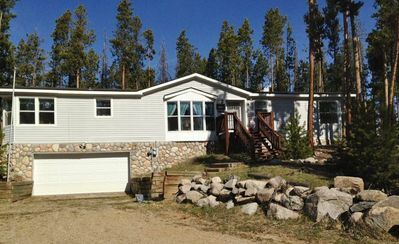 Close to lakes and skiing. Welcome to Bearadise! 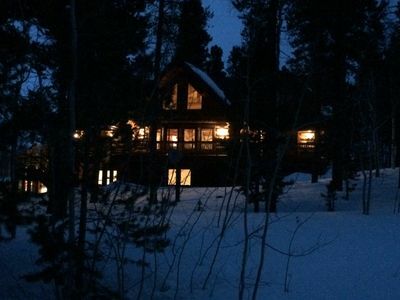 Cozy Cabin on 2.5 Quiet Wooded Acres! 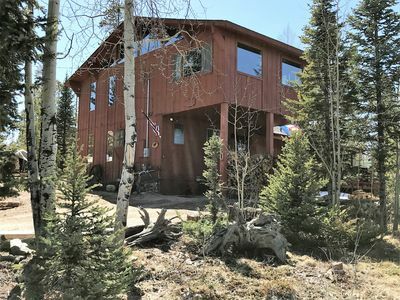 PET FRIENDLY HOME CLOSE TO TRAILS AND TOWN! 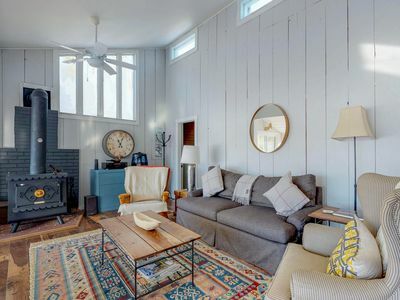 SLEEPS 6! LOTS OF PARKING! 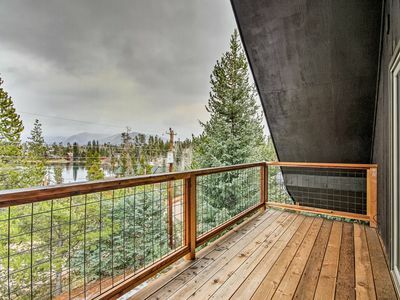 Incredible Views With This Comfy Condo Overlooking Both Lakes and Town!